I have tried Pixi makeup from my many trips to Target and have been pleasantly impressed by them. However, I have never tried their infamous Glow Tonic that everyone seems to be talking about. There happens to be a new Pixi retail store not to far from me, so I decided to go in and see what the hype is all about. 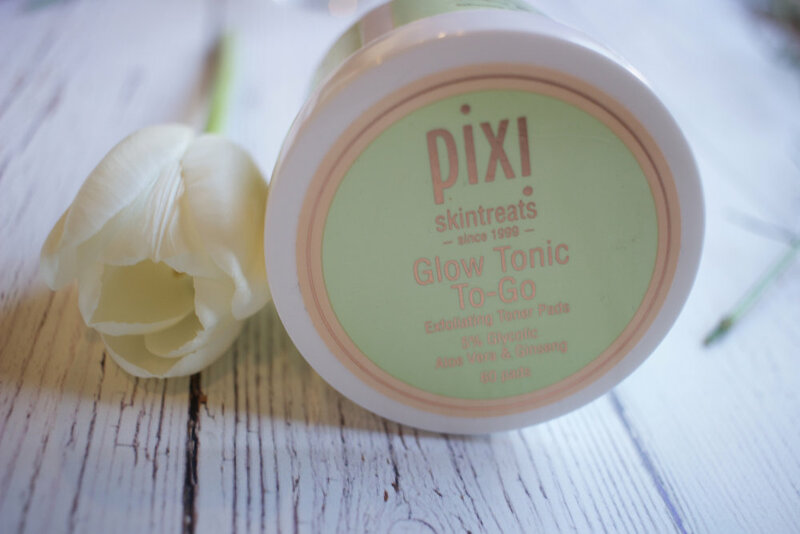 I do travel a decent amount so when I saw that the Glow Tonic came in a 'To-Go' version I did a little happy dance. The Glow Tonic To-Go Exfoliating Toner Pads come with 60 pre-treated pads. At $18.00 per tub, I thought this was a great deal. Every morning and night after I cleanse my face, I take one pad and wipe gently in circular motions on my face/neck/décolleté. I follow with serum then moisturizer. They are not harsh and if anything are soothing as Aloe is the second listed ingredient. After using them for two weeks, my skin looks brighter and more radiant. I've noticed that my skin has less texture than it did which is amazing. I will continue to use these and re-purchase. I am excited that I have found a new drugstore product that actually works! Next time you are in Target, pop on over to the Pixi shelf and grab one for yourself!